William “Bill” H. Kuhnau, age 80, of Alexandria, died Sunday, January 20, 2019, at Knute Nelson Care Center in Alexandria. A funeral service will be held at 11 a.m., Saturday, January 26, 2019, at First Lutheran Church in Alexandria with Rev. Ben Jacobson officiating. Music is provided by organist, Randy Morken and vocalist, Pat Kalina. Private family interment will take place at Kinkead Cemetery. Visitation is 5-8 p.m., Friday, at Lind Family Funeral Home in Alexandria and will continue one hour prior to the service at the church. William Harvey was born on July 23, 1938, to Wilhelm and Cleo (Atz) Kuhnau in Lakefield. 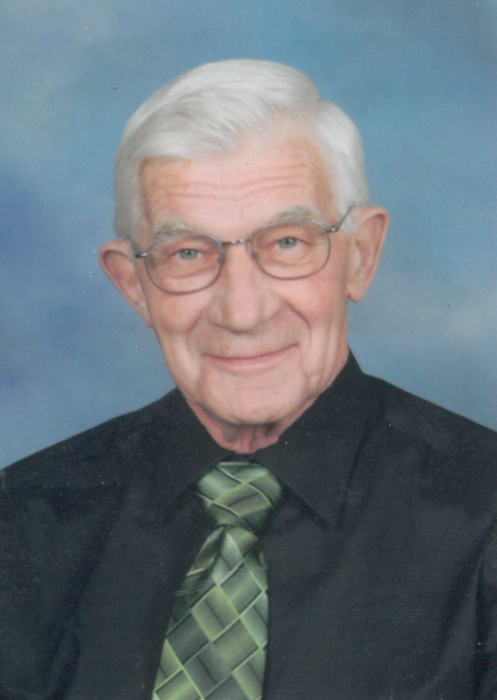 He was baptized on August 21, 1938, in Lakefield and confirmed on June 15, 1952, at St. John’s Lutheran Church in Wadena. Bill attended Wadena Public Schools through the eighth grade. Following his education, he farmed with his family and worked in the automotive and electrical trade with his father and grandfather. He was united in marriage to Elaine Johnson on April 6, 1963, at Bethesda Lutheran Church in Alexandria. For many years Bill worked at AP Hustad International Implement before leaving to start his own business, Bill’s Auto Repair in 1969. He operated his business until his passing. Bill will be remembered for his ability to fix and repair anything. He was a charter member at Shalom Lutheran Church and current member of First Lutheran Church in Alexandria. Bill enjoyed building trailers, camping, and cutting, splitting, and hauling wood. He especially loved spending time with his family. He was preceded in death by his parents; two brothers, Roger and Glen; two sisters-in-law, Patty Kuhnau and Allyn Kuhnau; brother-in-law, Bob Rydberg; and two nieces, Tammy Kuhnau and Sheri (Causley) Major. Bill is survived by his wife of 55 years, Elaine; four daughters, Nancy (Mike) Muench of Forest City, Iowa, Christine Kuhnau and Julie Kuhnau both of Alexandria, and Cindy Kuhnau of Eden Valley; son, Jeff (Sandy) Kuhnau of Osakis; six grandchildren, Shannon Muench, Eric Muench, Ashley (Adam) Rambow, Tony (Kelsey) Roering, Melanie Kuhnau, and Ben (Tika) Kuhnau; six great-grandchildren, Ava, Arlo, and August Rambow, Renlee Roering, Tyson Kuhnau, and Ziva Kuhnau; eight brothers, Don (Donna) Kuhnau, Bob (Mary) Kuhnau, Gib (Karen) Kuhnau, Earl Kuhnau, Vic Kuhnau, Doug (Birdie) Kuhnau, Darrel Kuhnau and Paul Kuhnau; six sisters, Delores Rydberg, Myrt Schmidt, Judy Kuhnau, Kathy (Angus) Causley, Carol Kuhnau and Barb Chan; sister-in-law, Karen Kuhnau; and many nieces and nephews.